Mud and Wood was founded in 2011 by husband and wife Colin Ritchie and Féile Butler. 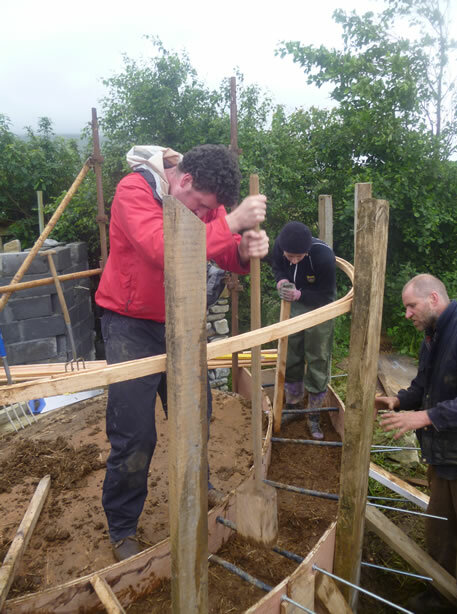 Colin is a carpenter and Féile is an architect and together they started earth construction or ‘cob’ building in 2005. In 2011 they completed their cob and timber frame home in Sligo, Ireland. Mud and Wood offers courses in environmentally friendly, sustainable, natural building and design. Specialising in cob and salvaged timber their aim is to provide training in building or renovating a home using natural, healthy and ecologically sound materials which have a low impact on the environment.